A rock consists of minimum units named mineral. After determination of major-element concentration of a rock, you want to describe major-element concentration of each mineral to describe spatial distribution of elements in a rock. Size of a mineral varies in five order of magnitude from nano-meter to centi-meter. Our nominal electron-beam technique can describe elemental distribution down to sub micron scale. The first step is to identify what are the minerals and describe petrographic and symbiotic relationship among the minerals. 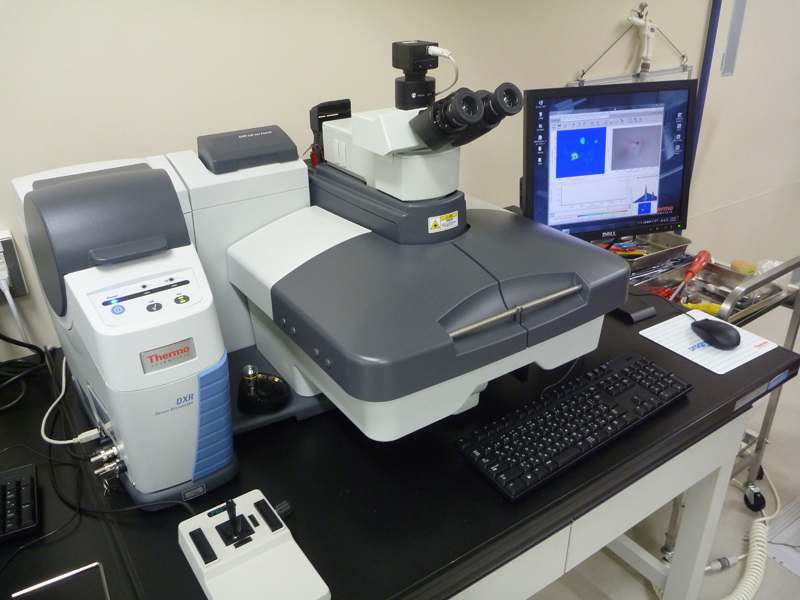 We to identify phases in a rock via three approaches, that are Raman spectrometry, Fourier transform infrared spectrometry, and scanning-electron microscopy (SEM). After identification of the minerals, you want to determine major-elemental concentration of each mineral. 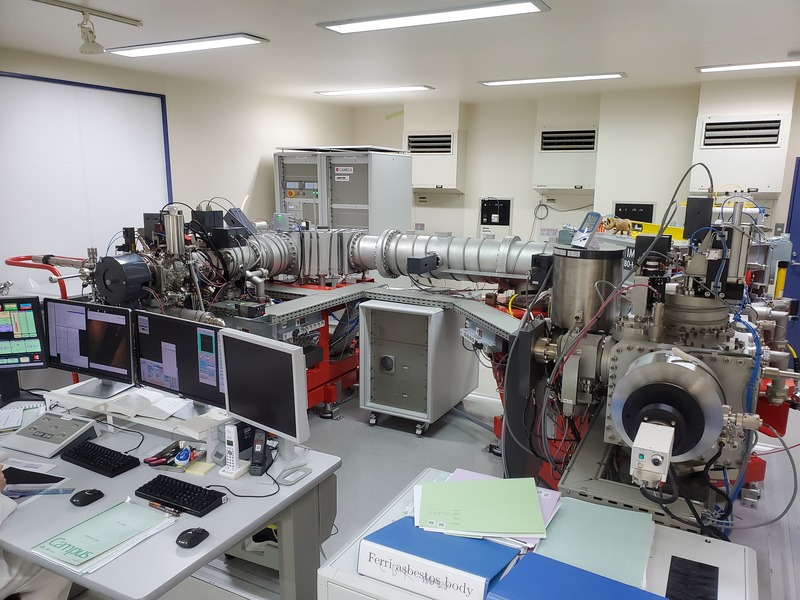 The most common approach is to analyze X-ray coming from surface of minerals, using SEM equipped with X-ray detector referred as EDS semi-quantitatively. As the next step, you may want to determine the major-element composition precisely using electron-probe micro-analyzer in the other room. In the similar way, you want to describe trace-element distribution in a rock. Say you have determine distribution of trace elements in a rock. Next, you want to determine isotope composition of minerals. Isotope composition will give you idea about source, kinetic process, and age. 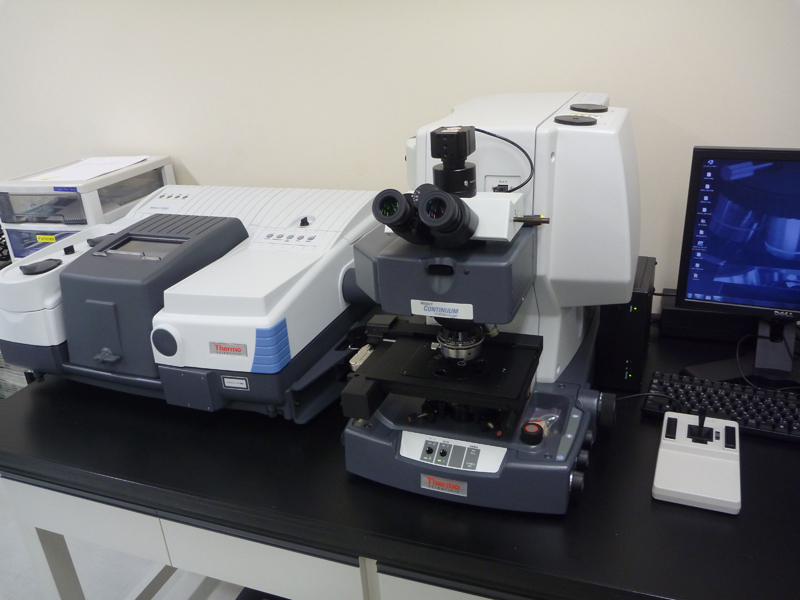 To determine isotope composition of trace element in a tiny minerals, you want to utilize high-sensitive and high-spatial-resolution mass spectrometry, that is secondary-ion mass-spectrometry. Focused ion beam (typically 15 micron) will sputter area of interest to ionizemineral-consisting elements. The ions of concern are mass filtered and the ion intensities are determined by ion counter. The direct ion detection makes this technique high sensitive and allows determination of isotope composition of trace-elements. Determination of phases of organic and non-organic materials down to scale of a few microns non destructively. Determination of major-element using X-ray on area of spatial resolution of a micron. Determination of concentrations of hydrogen, halogen, and trace elements with scale of 10 micron. 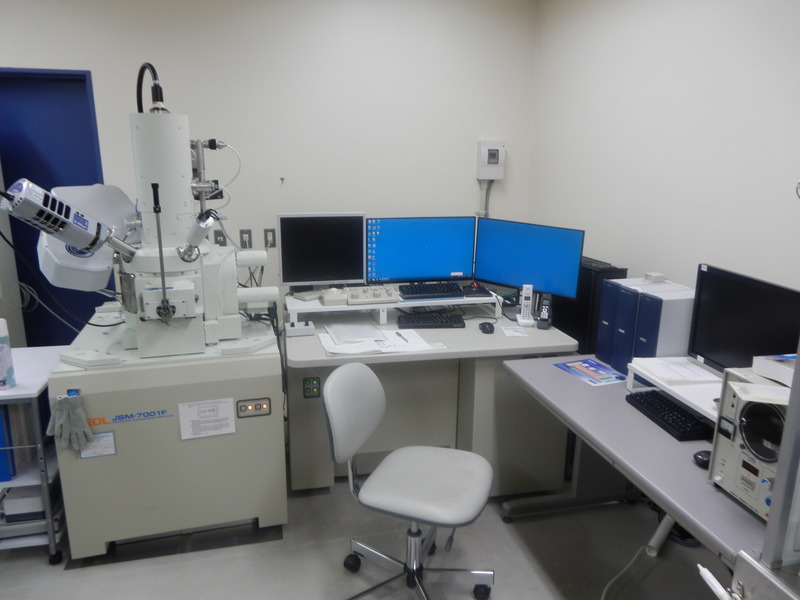 Determination of isotope composition of Li, B, O, Pb isotope analysis with scale of 10 micron.